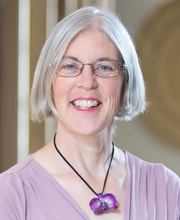 Teresa is a Researcher and Assessment Resource Developer at NZCER. She is involved in a wide range of projects including evaluations, the development of Maths assessment resources, the development of research-based tools, and exploratory research. As well as producing resources for the Assessment Resource Banks , Teresa presents webinars to help teachers use them effectively. Teresa was a primary school teacher for over 16 years, teaching students at all year levels. She has a BA (Hons) in Education and History from Victoria University of Wellington and a Dip. Tchg. from the Wellington College of Education. She is currently working towards her Masters of Education at Victoria University of Wellington.